"...as I repeatedly recall this wonderous and holy dialogue between Krsna and Arjuna, I take pleasure, being thrilled at every moment." 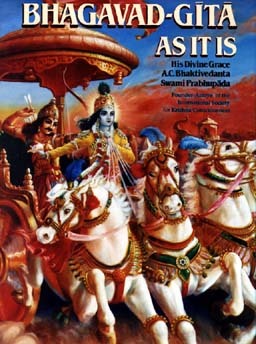 Bhagavad-gita is the best known scripture of India. This particular edition is the most popular and authoritative in the world. It is praised by scholars for its faithful adherence to the spirit and text of the original- hence its name Bhagavad-gita As It Is. At the dawn of the greatest single conflict of the age, Arjuna, the hero of the Pandava armies, wanted to view the opposing forces. In the midst of the battlefield, Arjuna was overcome with remorse and compassion at the thought of the imminent destruction and bloodshed. In his dejected and confused state, he turned to his dear friend Krsna and begged to understand the mysteries of life and death, of the soul, of duties and liberation. 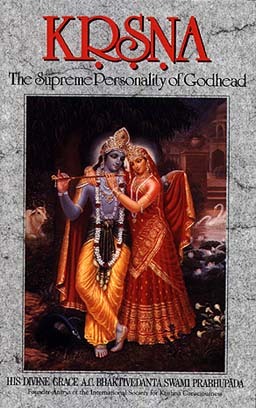 In answer, Lord Krsna spoke His Bhagavad-gita, or the song of the Supreme Personality of Godhead. The lessons of the Bhagavad-gita build a strong, secure basis for spiritual understanding. From atma to the Universal Form, from sins to salvation, from karma to yoga, the lessons help us face, understand and resolve the all too familiar but insurmountable problems of our lives: having been born, helplessly forced to age, suffer disease and eventually die. "Bhagavad-gita As It Is is a deeply felt, powerfully conceived and beautifully explained work. I have never seen any other work on the Gita with such an important voice and style. It will occupy a significant place in the intellectual and ethical life of modern man for a long time to come." To order the Bhagavad-gita, the most widely read spiritual book, click here. "There is need of a clue as to how humanity can become one in peace, friendship and prosperity with a common cause. Srimad-Bhagavatam will fill that need for it is a cultural presentation for the respiritualization of the entire human society." 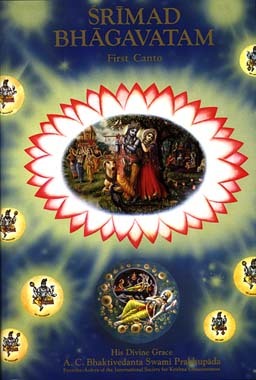 The Srimad-Bhagavatam is presented in English by His Divine Grace A.C. Bhaktivedanta Swami Prabhupada. His presentation is special. 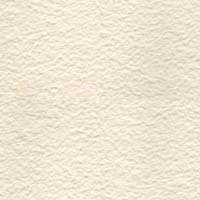 It is exact, authorized and spiritually inspired. Srila Prabhupada's faithfulness to the letter and spirit of the original, his accuracy and ability to translate it to the needs of modern man is praised by many scholars and the hundreds and thousands of people whose lives he touched through those writings. 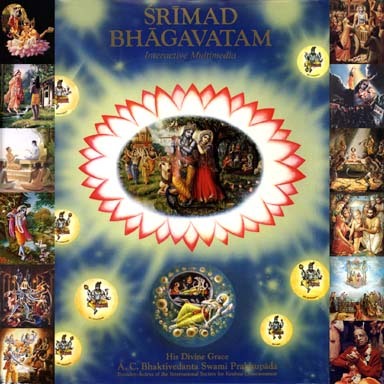 The Srimad-Bhagavatam answers and explains every issue that may be on your mind from abortion to war, from making ends meet to becoming successful, from hurt feelings to the fear of death. Clear, logical and unhurried explanations will help you to face, resolve, and cope with every aspect of life. Lessons from the Srimad-Bhagavatam are unique. They offer guidance in all stages of our life from childhood to old age and through all our varied circumstances. "This work is to be treasured. No one of whatever faith or philosophical persuasion who reads these books with an open mind can fail to be both moved and impressed..."
If you want more out of life than the pursuit of hopes and promises, the Srimad-Bhagavatam gives you the blueprint to a universal culture-- a way of life that is at the same time scientific, practical and sublime. Still more wonderful is to experience these truths within our present circumstances. "These books are not only beautiful, but also relevant to our times as we as a nation search for new cultural patterns for our new way of life." For the spiritual quality of life, the Srimad-Bhagavatam takes you step-by-step from the simplest philosophical inquiry to developing love of God. For the Srimad-Bhagavatam development of consciousness is a practical matter: it is education, it is culture and it is religion. Spiritual life is clearly and precisely defined-- accounting for and explaining every spiritual experience known to man. It challenges us to understand who we really are; why do we suffer; what happens at death; how does karma work; how does the soul transmigrate from one body to another; Who and what is the Godhead; what is your relationship with the Godhead; and how we can genuinely achieve an eternal, blissful life. "His Divine Grace A.C. Bhaktivedanta Swami Prabhupada is doing valuable work, and his books are significant contribution to the salvation of mankind." *Krsna CD contains summary of complete 10th Canto and complementary Bhagavatam CD contains complete 9 Cantos with some parts of the 10th Canto (originally printed in 30 volumes). For ordering or more information: click here. "If you are interested in logic and argument, kindly apply it to the mercy of Sri Caitanya Mahaprabhu. If you do so, you will find it to be strikingly wonderful." 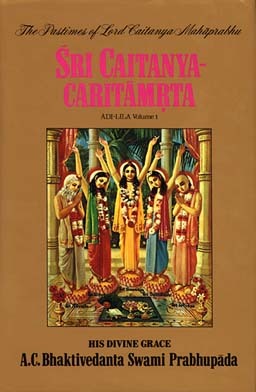 Sri Caitanya-caritamrta is the authorized biography on the life and teachings of Caitanya Mahaprabhu originally written in the Bengali language. The glory of the Srimad-Bhagavatam is best understood through Lord Caitanya. His very life and teachings personify the Bhagavatam. Sri Caitanya Mahaprabhu appeared in 1486 and inaugurated a spiritual revolution in India. While the West was sowing the seed for the age of machine, Caitanya Mahaprabhu inaugurated a spiritual revolution in the east. Industrialization provided some physical comforts of life but at the expense of a morally degraded and very confused man-- replacing passing bodily discomforts for those of constant struggle and strife. Sri Caitanya Mahaprabhu left a legacy by which modern man could advance his consciousness, allowing him to use his new-found technology without the stresses and strains that go with it. The biography takes you through the life, activities and teachings of the greatest single reformer in modern history. Sri Caitanya Mahaprabhu's social reforms have inspired an entire movement of benefactors of mankind that has carried on to the present. Today, His mission is spread throughout every continent of the world in the form of the Hare Krsna movement. "By reading one page after another an immense treasure of knowledge in art, science, literature, philosophy and religion will be revealed and ultimately by reading this one book, Krsna, love of Godhead will fructify." "Simply by hearing, reading and memorizing this book, Krsna, one is sure to be transferred to the spiritual world, which is ordinarily very difficult to achieve." To order the Krsna book, the transcendental activities of the Supreme Person, click here.